At 02:25 a.m. Moscow Time on Friday, the first plane, carrying Russian citizens evacuated from Yemen, landed at the Chkalovsky Airport in the Moscow Region. Few hours later, the second plane landed at the military airport base as well. MOSCOW (Sputnik) – Two planes that Russia had sent to Yemen to evacuate its citizens from the conflict-torn country landed at the Chkalovsky Airport in the Moscow Region, an anonymous source has told RIA Novosti. According to the source, the first plane landed at 02:25 a.m. Moscow time on Friday, or 23:25 p.m. GMT on Thursday. There were 162 people on board the first plane. Apart from 120 Russian citizens, the aircraft was carrying several nationals of other countries, including Belarus, Poland and Ukraine. There are 15 children under the age of two and 64 teenagers among the evacuees. The second plane landed just a few hours after the first one. The second plane evacuated about 150 people, including Russian, Belarusian, Polish, Ukrainian and Yemeni nationals. The planes were ready to pick up Russians from Sanaa on Wednesday, however, the Saudi-led coalition, which is currently conducting airstrikes against Houthi rebels in the country did not give the plane permission to land. 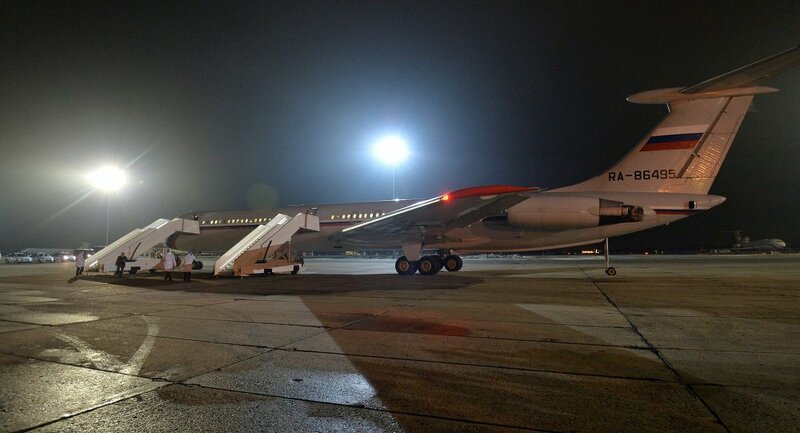 The aircraft spent the night at an airport in Cairo and was able to fly to Yemen on Thursday. Other countries, including Saudi Arabia, India, China and the United States have also been evacuating their nationals from the Yemeni capital over security concerns. The United Nations has also pulled out its staff from Yemen. Sanaa, as well as several other Yemeni cities, has recently fallen under the control of Houthi militants, who have forced Yemeni President Abd Rabbuh Mansur Hadi and his government to resign. Hadi asked the Arab League for military assistance, following which a special operation was launched in Yemen by an international coalition. According to Amnesty International, the Saudi-led coalition is failing to prevent civilian casualties in Yemen.